Book of the Week Book of the Week: A Pick by Laura M. André Laura M. André selects Obama: An Intimate Portrait, with photographs by Pete Souza, as Book of the Week. Obama: An Intimate Portrait, by Pete Souza. Little, Brown and Company, 2017. Laura M. André selects Obama: An Intimate Portrait by Pete Souza, from Little, Brown and Company, as Book of the Week. Obama: An Intimate Portrait is a tangible reminder of photography's power to shape presidential legacies; it's also destined to become a crucial memory book of an important shared experience. Sold out upon publication, the book of photographs by former Chief Official White House Photographer Pete Souza proved to be so popular that its publisher, Little, Brown and Company, was caught off guard and had to hastily reprint the book in massive quantities. Filled with nearly 300 photographs of President Obama, his family, staff, and other officials, depicting everything from private moments to grand public events, many of these images have never before been published. 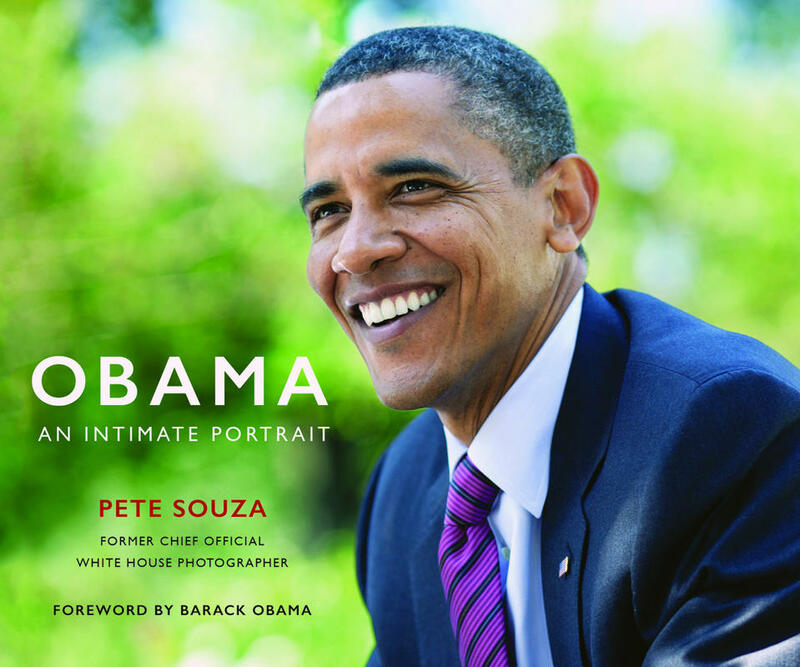 The book features an introduction by Obama himself, as well as Souza's explanatory notes and anecdotes about the images, which offer important insights and help to contextualize the photographs, which span the entirety of Obama's two terms. What struck me most, however, is that every page consistently reveals three overriding things: the mutual trust and respect that Obama and Souza shared, which enabled the creation of these images; Souza's talent for timing and composition, which goes well beyond standard photojournalism; and finally, a great sense of nostalgia. While the Obama years were of course complex in terms of the social and political impact of his historic presidency, from today's vantage point it all looks extraordinarily different, and way too far in the past. Obama: An Intimate Portrait by Pete Souza. Little, Brown and Companay, 2017. Obama: An Intimate Portrait by Pete Souza. Little, Brown and Company, 2017. 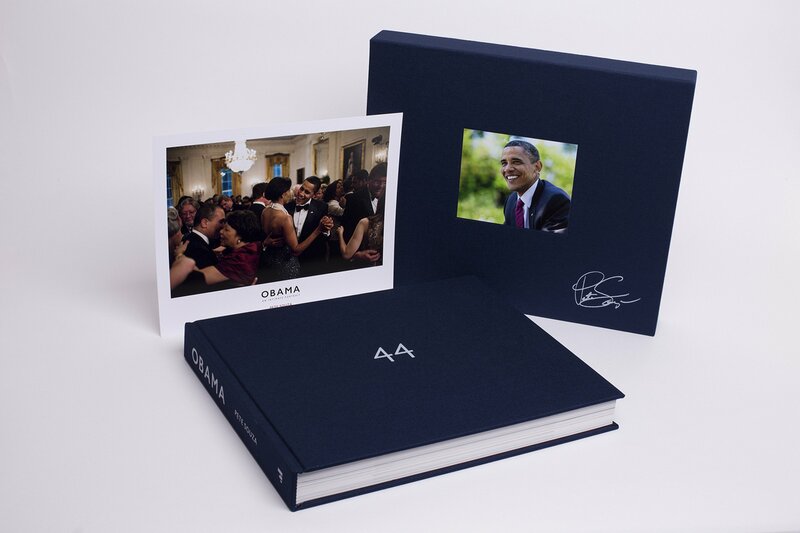 The book was also published in a special edition, which is signed by Pete Souza, stamp numbered, and enclosed in an illustrated cloth slipcase with an 8 × 10-inch print of “44” and First Lady Michelle Obama dancing at their first Governors Ball. Obama: An Intimate Portrait, Special Edition, by Pete Souza. Little, Brown and Company, 2017.